For a love-filled Monday, we are throwing this intimate and beautiful beach wedding of Taylor and Johnny to all of you, our dear friends. 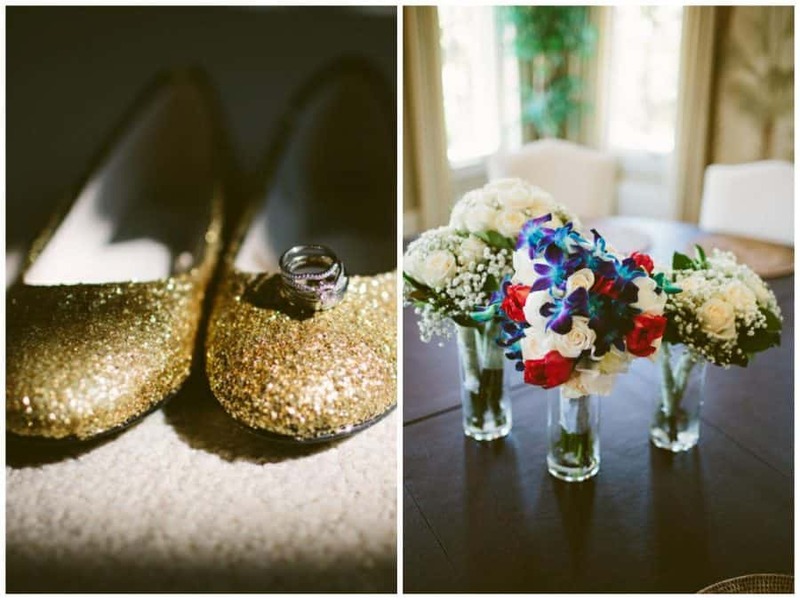 I love this wedding, the pops of genuine moments and the passionate details that were captured by Heather Bode. Take a look and have an awesome whimsical mood out there! The amazing match ups! 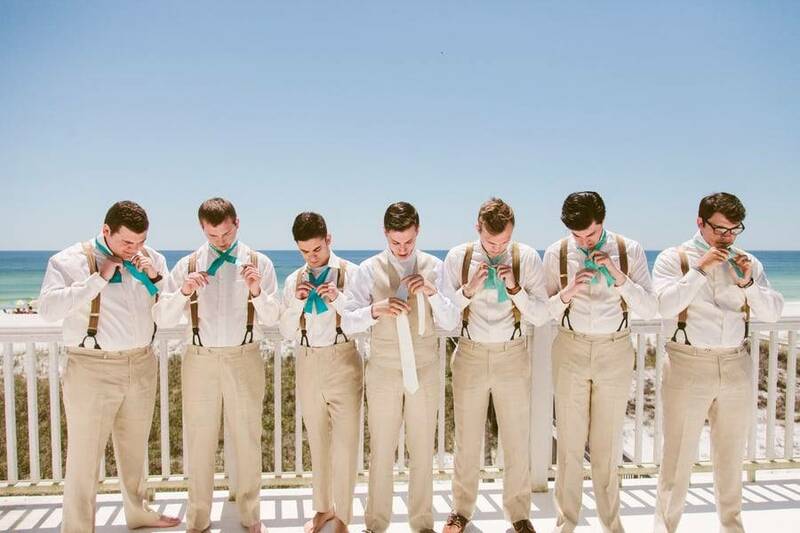 The men’s bright turquoise bow ties, to the bride’s glittering gold shoes that she made herself and to the rich tones found in the ladies’ bouquets. 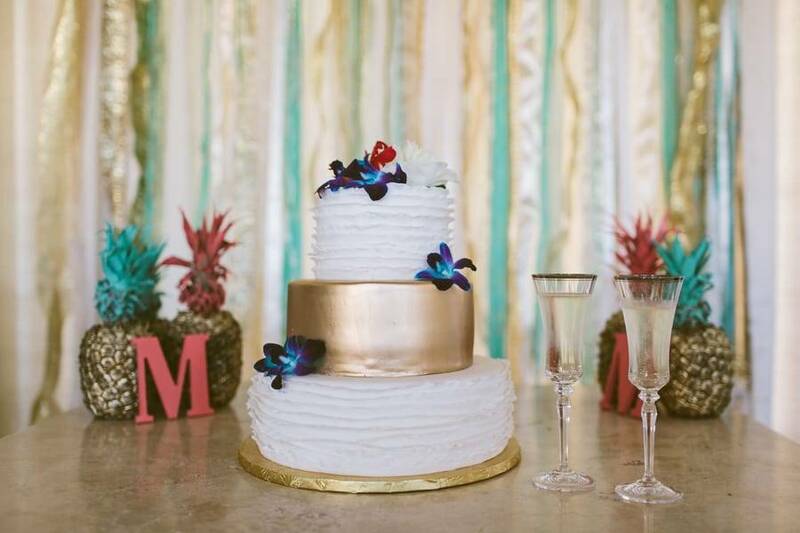 The eye feeding gorgeous cake with pineapple, oooh! 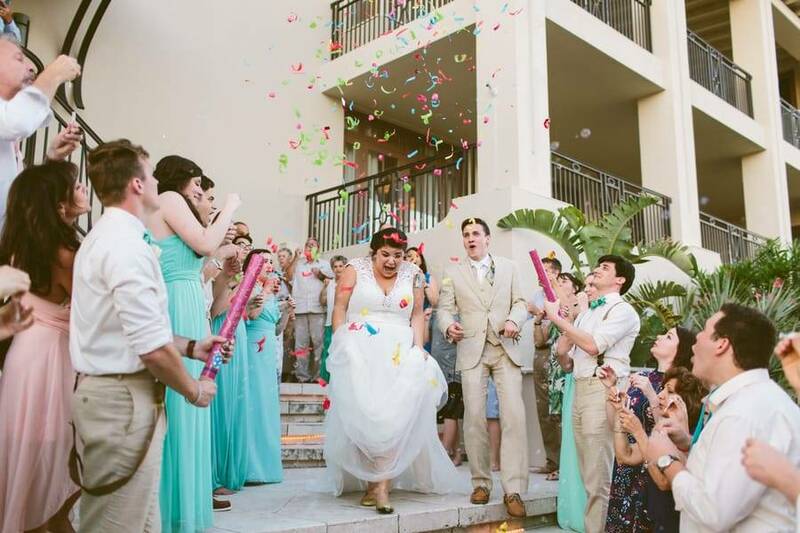 The couple’s ridiculously fun confetti and bubble exit. ♥ I would highly recommend getting a day-of coordinator, no matter how big or small your wedding is. Have someone else there to make sure everything is running smoothly so you two can focus on the most important thing: each other! Also, be mindful of how much time your photographer needs when creating your timeline: I was able to work, explore, and create beautiful photos for Taylor and Johnny because they made sure to give me the time I needed to do so. The more time you give your photographer, the better the photos! Loving the photos! The color combination are beautiful! This wedding is an inspiration! Loving the colors and the smiles they have!